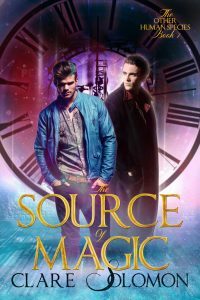 “The Source of Magic” – This is the first book in the Young Adult gay magic fantasy series, The Other Human Species. In a world where Neanderthals never went extinct but until recently were slaves, 2 teenagers from different backgrounds and races meet at university. They both share the rare gift of magic and, if they can stop arguing long enough, they might just change the world. 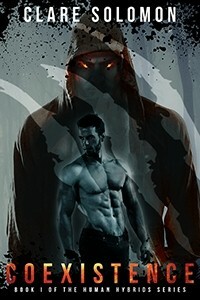 “Coexistence” – This is book 1 of the m/m Human Hybrids series, which is science-fiction with a paranormal twist. When Pal narrowly avoids being killed in a vicious attack that leaves most of his werewolf pack dead, he moves away for a fresh start, only to end up accused of murder. Brand is still grieving the death of his lover a year ago but, although they barely know each other, he desperately wants to help Pal. As the 2 men work together to solve the murder, they have to fight against their own growing desires and a much deadlier threat than they ever expected. “The Perfect Role” – Standalone gay celebrity novel. Peter is still reeling from the pain of his ex-wife’s affair and their subsequent divorce. As he takes on a new acting job, all he is concerned about is spending as much time as he can with his children. He is certainly not expecting to fall for charismatic actor, Alex, who is twelve years younger than him – not when his friends and family don’t even know that he’s bisexual. “Pleasure and Pain” – This is a short story I wrote about a cop who is forced to work with a vampire.